We’re always pleased to welcome children of all ages to the Mill and Nature Reserve. Stotfold Watermill and Nature Reserve welcomes groups of schoolchildren, students of all ages and youth groups. It provides an opportunity to see a working mill in action and to follow the traditional processes of converting grain into stoneground flour and the production of oats. The Education Team, with experience of teaching in schools from 4 to 18 years old, has developed a variety of programmes that can be adapted to the age, interests and needs of the visiting group. Book A School Visit Now! For Younger Children: Storytime about Milling with The Little Red Hen and Milly the Mouse. Science and Technology: Cogs and Gears a practical experience. Our Food: From Grain to Flour. 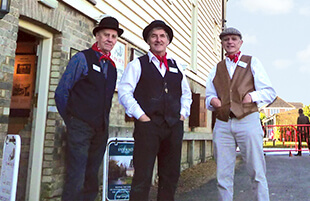 The Story of Stotfold Mill: It’s place in the community. In addition, parties have the opportunity to extend their learning experience by exploring the adjacent Nature Reserve, comprising eight acres of water meadows and ponds, with its array of wildlife. In inclement weather we have standby activities if needed. Learning at the mill can be supported, before or after the visit, by the use of our Loan boxes of resource materials. An experienced team of qualified teachers provide a variety of learning opportunities linked with many aspects of the National Curriculum such as History, Geography, Science, Technology, Engineering and Food. - A guided tour of 3 floors of the Mill aimed at the area of study. - A demonstration of stone ground milling of flour. - Grinding grains using a hand quern to make your own flour. - Smart board activities offering an interactive learning experience. - PowerPoint presentations on the Mill and Nature Reserve, gears & pulleys, energy. - Study Topic 1: Producing Wheat - A comparison of farming methods of now and 150 years ago and activities. - Study Topic 2: From Grain To Flour - Activities and examples of a hand and saddle quern. Samples of different grains. - Study Topic 3: Gears & Pulleys - Activities and sets of gear wheels and construction parts that can be used to build different working systems of gears. Video clips to show the gears and pulleys working in the Mill. - Study Topic 4: The History of the Mill - Activities using primary source material. - The Milly Mouse Trail - An exercise in observation & independent learning. - Mystery Photo Trail - An exercise in observation & deduction. - Can you identify these objects? An exercise in observation & deduction. - The Little Red Hen Story - Child participation with puppets. - Word Searches - Topics that are related to the Mill. - Activity Sheets on various topics such as flowers, leaves, birds & insects, unusual things. The charge for a visit is currently £2.00 per pupil (minimum £20.00) for a morning or afternoon session and £3.00 per pupil (minimum £30.00) for a whole day. There is no charge for accompanying teachers or supervising adults. Please note that a watermill can be cold and damp in the winter months, November through to March. Before confirming a booking, we recommend that schools contact us to have a pre-visit discussion to plan a programme suited to the interests of the group, preferably on site at a time convenient to you. Even the youngest children who visit us have been fascinated by the machinery and the milling processes that convert grain into flour. For older students, there are a multitude of features in the mill and in milling to enhance their studies. - Listening skills with broadening and enrichment of vocabulary. - Retrieving, recording and presenting information. - Traditional stories and legends, and writing about real and imaginary events. For younger children: These skills can be developed using stories about mills and flour e.g. The Tale of the Little Red Hen. - Common 2-D and 3-D shapes. - Position, direction and motion, symmetry, rotation and angles. - Standard units of measurement, ratio and proportion. For younger children: Look for and recognise the shapes found in and around the mill and its machinery. - The natural and humanly-constructed world. - Life cycles, plants & animals in their habitats (e.g. pond dipping), with effects of seasonal changes. - Identification keys and food chains. - The uses of everyday materials and their properties. - Forces such as water resistance and friction, levers, pulleys and gears. For younger children: What makes the wheels go round, get faster and slower? Why are there big and small wheels? Where does our food come from? Which plants and animals live in the meadow? - Historical development of milling. - The importance of mills in the community. - People and places in the locality, and significant historical events. - Life and work in England in various historical periods e.g Victorians. - Land-use patterns and the location of mills. - Industrial and geographical features. For younger children: Why was Stotfold mill built where it is? What does the river do? - The study of gears and mechanics. - Craftwork in wood and metal. - Cooking with flour, and learning how flour is grown, processed and used. For younger children: Cooking with flour, and the story of grain to flour to bread; bread making machines and models. This comprises of a one mile walk along grass paths through meadows planted with native trees and wildflowers. Boardwalks over softer ground make access available to most wheelchair users, including to the living willow bird hides and the pond dipping platforms, where birds, insects and amphibians may be observed. Walks are accompanied by guides from the Mill. We can offer seasonal i-spy activities, including pond life. In the event of inclement weather we offer alternative activities in the Mill. If weather conditions make a visit to the nature reserve unsuitable, the Education Team can offer resources for alternative indoor activities for all ages. Enjoy using the Smart Board for activities connected to the Mill and Nature Reserve. Construct systems of gears using our class size sets of plastic gears. We have a large amount of of art and craft materials available for creative activities. Tour the mill following Milly’s trail and answer her word search quiz. Mystery Photo Trails and Can You Find It? Enjoy detective work around the Mill. We have available loan boxes of resource materials that may be used by schools for limited periods before or after their visits to support the group’s learning. A negotiable small charge and refundable deposit may be made for the loan. Samples of grain and mill products; a stone quern and a modern hand quern to grind flour: related pictures. Hands on working models of gear and pulley systems; plastic gear wheel construction set; photos of gears and pulleys at Stotfold Mill and accompanying worksheets. Photos and archive material relating to past history of the mill, its destruction by fire and rebuilding. Accompanying worksheets. For coaches and cars is available adjacent to the Nature Reserve, 50 metres walk from the mill entrance. All groups are welcomed in the Ivel Room. A large seated meeting room within the mill equipped with visual resources where introductions and presentations are given. Small children may sit on special colourful play mats. There is easy wheelchair access to all parts of the mill, including a lift between floors. There are two toilets including one for use by disabled visitors. Arrangements can be made for children to take a snack in the Ivel Room. Groups visiting for the whole day can picnic with a packed lunch either in the nature reserve meadow or in the Mill. We can provide tea or coffee for accompanying staff. 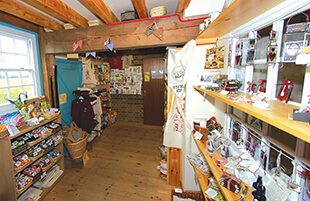 By prior arrangement the Kingfisher Gift Shop can be open for children to buy mementos of their visit. Flour and other mill products may be purchased to take back to school. Schools are encouraged to make a pre-visit to meet members of the Education Team to plan the visit appropriate to the group. Further information is available elsewhere on this website and pictures from the mill are downloadable here. It is anticipated that schools will carry out their own risk assessments when planning a visit to Stotfold Mill and the following notes are intended to assist them in the process. This information is to provide schools with assistance when completing their risk assessments. It is designed only as a guide and we recommend that teachers make a pre-visit to Stotfold Watermill to carry out their own assessments. 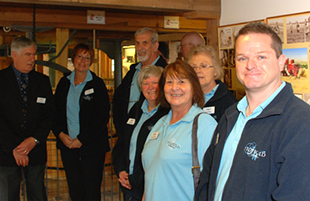 Stotfold Watermill is a working mill and so during the visit machinery on all 3 floors will be working. There are fixed safety barriers to prevent access to these machines by the public. Students may undertake some hand grinding of corn using either large round stones or the hand quern. Mill guides will demonstrate how to use these ‘stones’ pointing out the dangers of misuse. This is a working mill, producing wholemeal flour so consideration must be given to persons who have breathing problems or allergies relating to this type of production. The Mill is situated on the river Ivel and it is possible to view the river by walking on the boardwalk from the stone (1st) floor. A notice by the door warns that the boardwalk may be slippery. The river is fenced off and a life ring and rope are also situated on the boardwalk. To enter and exit the mill is via an unpaved road from the car park. Students need to be closely supervised both in the car park and along the road. During a visit to the mill teachers are responsible for supervising their students and ensuring appropriate behaviour at all time. When touring the mill groups are divided into manageable numbers, each with a mill guide. Floors are linked by a lift for the disabled and infirm. Two toilets will be available and an eating area is also available to the group. First aid facilities are minimal and you are advised to have appropriate supplies for you visit. A Mill guide who will highlight safety precautions, which must be considered when gaining safe access to the building, will meet groups in the car park or outside the Mill. There will be a minimum of three guides, with experience in the field of education, the supervision of young people and emergency safety procedure within the mill premises. The Mill has a Nature Reserve of 8 acres adjacent to an unfenced River Ivel. An interesting one mile walk on grass, which is uneven in places, with boardwalks in soft areas. If access is undertaken strict high ratio adult supervision is required and mill guide(s) will be on hand to assist. Safety and advisory information will be supplied. Shelter from adverse weather conditions is limited and appropriate clothing must be worn.